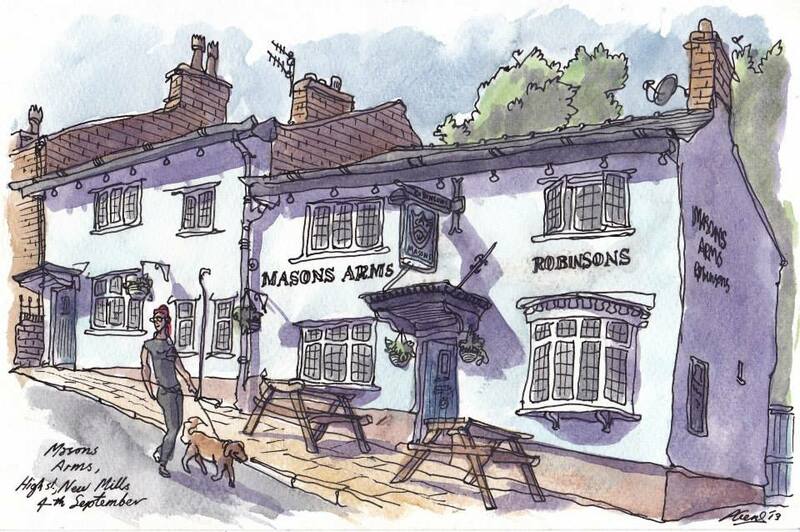 The Masons Arms is a small pub halfway down High Street, almost in the town centre and within the conservation area, not far from the Sett Valley Trail. Regular cask ales served with an open fire in winter and outdoor seating front and back, with a covered smoking area. Views between historic buildings across to Thornsett and down the High Street towards the origins of the town – what was the ‘New Milne’ at the bottom, where the old packhorse route from Mellor came down Dyehouse Lane, over Salem Bridge, up across towards Laneside and over to Chinley. There’s a dartboard, pool room and jukebox and regular live music – bands, singers and dj’s. On the first Sunday of every month there’s an acoustic jam session, with all welcome. Available for hire for parties, there’s a carpark next door.